For the first time, 10 of Paul Newman's very own race cars will be on display at a major California Concours d'Elegance. 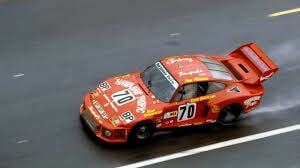 Now owned by someone else the marques include the Porsche 935 that Newman and team drove in the 1979 Le Mans. When the late, great actor Paul Newman played a driver in one of the best racing films ever made, Le Mans, he obviously had a great time. If you watch the film closely you can see a grin from ear to ear whenever he is near a race car. The 1971 movie, more than likely, pushed him into serious racing. Bitten by the racing bug, Newman became a serious racer and car owner. He had consistently good showings in many local, national and international events. Not only did Newman race, he also fielded and supported a successful racing team. In addition, he was an avid motorcycle collector. He put together one of the better bike collections in the country. This year, the public will have a chance to see 10 of the cars Newman owned and raced at the eighth annual San Marino Motor Classic on June 10. Since its inception in 2010, the San Marino Classic has evolved into one of California’s top Concours d’Elegance. The Newman cars are now owned by Adam Carolla, host of TV shows and podcasts. The June exhibit is the first time the Newman race cars will be displayed together publicly. The collection includes a variety of vehicles including Newman’s Datsun and Nissan race cars, as well as the famed Porsche 935 Newman drove in the 1979 running of the 24 Hours of Le Mans. This year’s show features a wide variety of collector cars. The cars range from “brasses” of the early days of motoring to muscle cars, hot rods, rare exotics and everything in between. A special early Lamborghini class will feature some of the marque’s earliest and rarest sports cars. There will also be high-profile entries that have not been shown before. Since its founding, the classic has raised more than $1.5 million for local charities. For more information visit the concours' website.